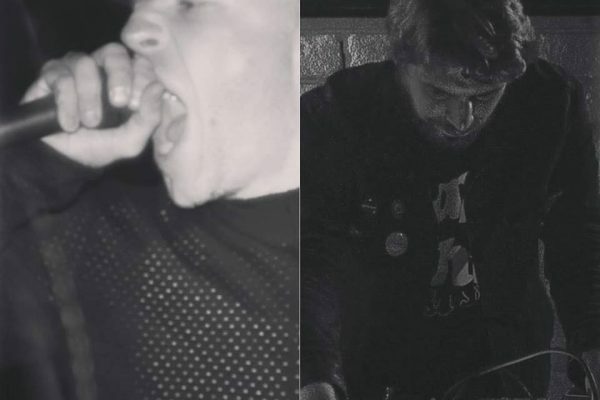 To kick off Rust Worship and SOOT’s April tour of California and the Southwest, the two will be joined by an esteemed crew of Los Angeles friends for an evening of heavy and vociferous noise at Coaxial. SOOT is the creation of the Bay Area’s James Livingston, founder of the superlative Black Horizons label, who has refined a death industrial/power electronics fusion as a conduit for intensely personal subject matter and a severe, dub-inflicted sound. Drawing duly from early 80’s SPK and 90’s Cold Meat Industry to Scientist and DJ Screw, SOOT’s confrontational and raw presence has carved a stand-out pathway into cathartic discordance. Rust Worship is the long-running solo project of Los Angeles’ Paul Haney, founder of the Obsolete Units label. Having investigated a range of approaches over the years (everything from ethereal drone to harsh vinyl abuse), his recent work has matured into a precise and refined mass of tape loops, found sounds, and heavily manipulated samples, a dense production influenced equally by Broken Flag-era industrial and 20th century tape music. Before emerging as the core of the dark, post-punk and death-rock illuminated band Clay Rendering, Mike and Tara Connelly had been generating grim and unnerving noise as The Haunting since 2005. The Connelly’s shrewdly conceive an anxiously sparse and biting tension to their uncompromising sound that’s in line with Mike’s work in Failing Lights and Hair Police. A rare live action by two of LA’s finest that is not to be missed. Gabie Strong is a LA-based interdisciplinary artist that has accumulated a robust series of performances and recordings that reconstruct her primary instrument, the guitar, into a conduit for thundering and transcendent drone. In addition to operating the Crystalline Morphologies label, she has also toured as a member of Michael Morley’s Gate and collaborated with Christopher Reid Martin (Shelter Death) and Elaine Carey (Telecaves).